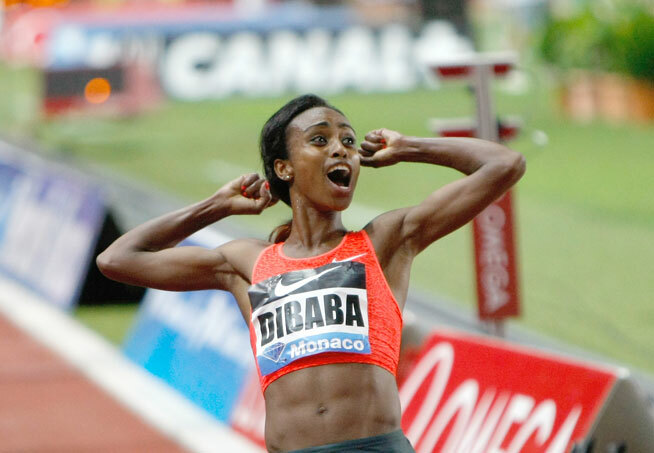 Monaco–Genzebe Dibaba an Ethiopian woman, broke a 22-year-old world record in the women’s 1500m at a Diamond League meet in Monaco on Friday night. The record is one of the most controversial records held in recent times. Dibaba clocked 3:50.07 in the 1500m to break the 3:50.46 world record set by Qu Yunxia of China in 1993, which, until this year had been considered impossible. Qu Yunxia was one of the dominant “army” of Chinese female athletes in the 1990s under the guidance of controversial coach Ma Junren. Officials suspected that he was giving them performance-enhancing drugs despite his denial, claiming that he fed his athletes turtle blood and a special fungus. Chinese authorities kicked him off the country’s Olympic team in 2000 after six of his athletes failed drug tests but, despite all of this controversy, Qu’s mark still stood. Dibaba finished ahead of the Netherland’s Sifan Hassan, who posted a national record 3:56.05 and the United States’ Shannon Rowbury, who was in third at 3:56.29, breaking Mary Slaney’s 32-year-old American record of 3:57.12. Jenny Simpson, the 2015 U.S. champion and two-time World Championships medalist, came in fourth at 3:57.30. In July, Dibaba broke the African record in the 1500m with a time of 3:54.11 in Barcelona, the fastest women’s 1500 in 18 years. This raised expectations for Monaco, which she exceeded. Her performance in Monaco has raised even more expectations that she might double in the 1500 and 5000 at next month’s World Championships. Dibaba’s 800-meter split was 2:04, which seemed slower than the pace required to break Yunxia’s record; however, she breezed through the rest of the race, showing no signs of fatigue or loss of form. Her 1500m time is equivalent to a 4:08.41 mile and the women’s world record for the mile is 4:12.56. Her world record is the first in an Olympic track event since Russian Gulnara Samitova-Galkina in the 3000m steeplechase on August 17, 2008. The 24-year-old is the sister of three-time Olympic champion Tirunesh Dibaba and Olympic silver medalist Ejegayehu Dibaba. Dibaba’s older sister, Tirunesh, holds the 5000m world record set June 6, 2008. Genzebe spent the early part of the outdoor season trying to break her sister’s 5000 record of 14:11.15 and just barely failed. She smashed her lifetime best over 5000m in 14:15.41 when winning at the IAAF Diamond League meet in Paris on Saturday. She produced the fastest time over the distance since 1997, moving up to ninth on the world all-time list. “I think Tirunesh will be happy, all Ethiopia will be happy,” she said.